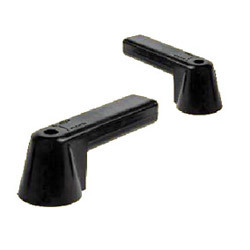 Our product range includes a wide range of plastic end caps, abs handles, industrial pull handles and industrial knobs. 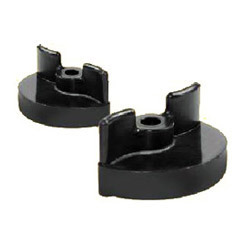 Product Description:We are one of the manufacturer and supplier of Plastic End Caps that is made available in multiple specifications. These precisely designed and developed end caps are fitted on each end of festoon track and prevent the intrusion of dust particles in the track. Manufactured in accordance with the industrial norms, the proffered range ensures high durability and robustness. 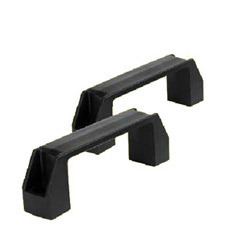 Our clients can avail from us an assortment of ABS handles that are manufactured using premium quality ABS plastic, making them extremely durable and crack resistant. Offered at industry leading prices, these ABS handles can be custom-made to suit the specific needs of our clients. We manufacture a vast assortment of industrial pull handles that are applicable in various industries and are manufactured using high grade raw material. Available with pre-assembled mounting, these industrial pull handles can be customized according to the needs of our individual clients. We offer our customers an extensive array of industrial knobs that are manufactured using superior quality PA and are wide in demand with our clients for its perfect finish and durability. Available in customized specifications, these industrial knobs are offered at economical prices.